If you’re shopping for a sedan that blends style with smarts, the 2017 Honda Accord may be the choice for you. Its array of standard and optional technology features keeps it just out of range of many of its competitors, making it a fantastic option for Los Angeles drivers who want to be kept informed and entertained mile after mile. Get acquainted with the 2017 Honda Accord technology below, then schedule a test drive at Airport Marina Honda near Santa Monica! Great for warm Inglewood weather, optional Remote Engine Start revs the engine and precools the cabin before you enter. Standard on EX and above, these systems link your Apple or Android smartphone to the infotainment system for handsfree, on-the-go access to your favorite apps. Compatible with iOS and Android devices, available HondaLink lets you schedule service for your Honda, and listen to personalized radio stations from Aha. Standard on Touring, this Garmin-based system uses detailed maps and voice recognition to help you navigate through Los Angeles. 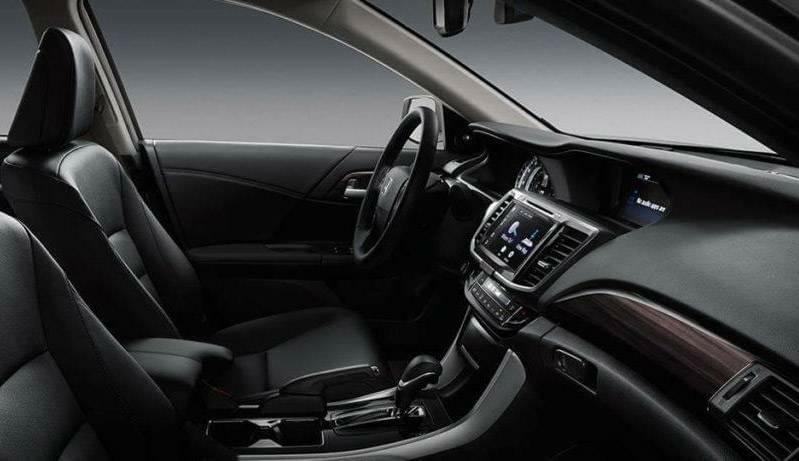 Of course, the Honda Accord offers the latest in entertainment technology so there’s never a dull moment inside the cabin. The entry-level LX and Sport feature a 4-speaker 160-watt sound system, which gets swapped for a 6-speaker 160-watt or a 7-speaker 360-watt system as you move up the line. All three sound systems come with Pandora compatibility, speed-sensitive volume control, a USB charging port, and a Radio Data System. Satellite and HD Radio are standard on EX and above. The 2017 Honda Accord Sedan’s technology is sure to impress even the most tech-savvy of drivers. Compare the Accord to competitors like the Ford Fusion, then contact us at Airport Marina Honda to schedule a test drive!